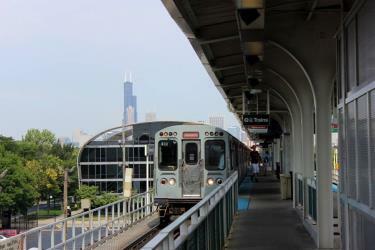 What is the cheapest way to get from Chicago O'Hare Airport (ORD) to Shorewood? The cheapest way to get from Chicago O'Hare Airport (ORD) to Shorewood is to drive which costs $4 - $7 and takes 46m. 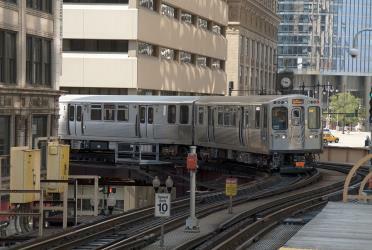 What is the fastest way to get from Chicago O'Hare Airport (ORD) to Shorewood? The quickest way to get from Chicago O'Hare Airport (ORD) to Shorewood is to taxi which costs $130 - $160 and takes 46m. Is there a direct bus between Chicago O'Hare Airport (ORD) and Shorewood? No, there is no direct bus from Chicago O'Hare Airport (ORD) to Shorewood. 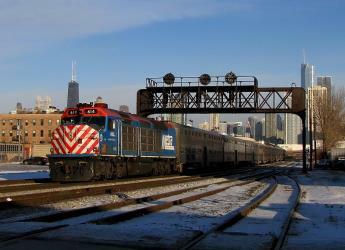 However, there are services departing from Chicago, IL - O'Hare Intl Airport and arriving at Jefferson St & Rt 59 via Janes Ave & 75th St and Jefferson St & Chicago St. The journey, including transfers, takes approximately 4h 22m. How far is it from Chicago O'Hare Airport (ORD) to Shorewood? The distance between Chicago O'Hare Airport (ORD) and Shorewood is 35 miles. The road distance is 44.2 miles. 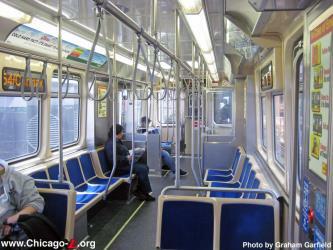 How do I travel from Chicago O'Hare Airport (ORD) to Shorewood without a car? The best way to get from Chicago O'Hare Airport (ORD) to Shorewood without a car is to subway and train which takes 4h 10m and costs $12 - $17. How long does it take to get from Chicago O'Hare Airport (ORD) to Shorewood? It takes approximately 4h 10m to get from Chicago O'Hare Airport (ORD) to Shorewood, including transfers. Where do I catch the Chicago O'Hare Airport (ORD) to Shorewood bus from? Chicago O'Hare Airport (ORD) to Shorewood bus services, operated by Suburban Express, depart from Chicago, IL - O'Hare Intl Airport station. Where does the Chicago O'Hare Airport (ORD) to Shorewood bus arrive? Chicago O'Hare Airport (ORD) to Shorewood bus services, operated by Pace Bus, arrive at Joliet Union Station. Can I drive from Chicago O'Hare Airport (ORD) to Shorewood? Yes, the driving distance between Chicago O'Hare Airport (ORD) to Shorewood is 44 miles. It takes approximately 46m to drive from Chicago O'Hare Airport (ORD) to Shorewood. Where can I stay near Shorewood? There are 43+ hotels available in Shorewood. Prices start at $71 USD per night. 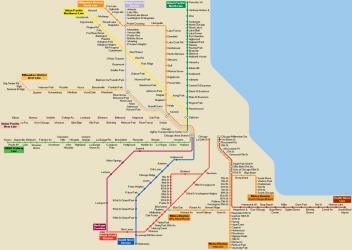 What companies run services between Chicago O'Hare Airport (ORD), USA and Shorewood, IL, USA? 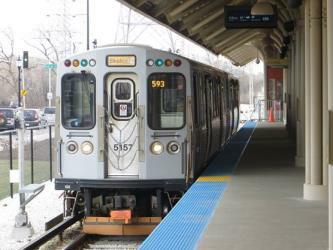 You can take a bus from Chicago O'Hare Airport (ORD) to Shorewood via Woodridge, IL, Janes Ave & 75th St, Joliet Union Station, and Jefferson St & Chicago St in around 4h 22m. Rome2rio's Travel Guide series provide vital information for the global traveller. Read our range of informative guides on popular transport routes and companies - including 4 of the smartest ways to explore Australia, How do I buy a London Underground ticket? and How to get from Gatwick Airport into central London - to help you get the most out of your next trip. The Rialto Square Theatre is a theater in Joliet, Illinois (U.S.). Opening in 1926, it was originally designed and operated as a vaudeville movie palace, but it now houses mainly musicals, plays, concerts, and standup comedy. It is also available for public and private functions. Designed in the Neo-Baroque style, it is considered one of "150 great places in Illinois" by the American Institute of Architects. Autobahn Country Club is an auto racing themed country club located in Joliet, Illinois. The facility includes a configurable main track with a 1.50 mi north track, a 2.06 mi south track, a full track of 3.56 mi, skid pad, and a 0.8 mi kart track. The kart track has a kart fleet, and also hosts in-house races. The club has a free test fleet of Cadillacs, Lexus cars, AMG Mercedes cars, Porsche 911, Ferrari California, Acura NSX, McLaren 570, and a Nismo Nissan 370Z. The tracks have member racing for Mazda MX-5 Miatas, GT cars, and open wheel cars. The club requires a $35,000 membership fee to use the tracks and 'club house', which contains a bar and banquet hall. The club has a racing school with teachers including notable racers Tom Bagley and Tony Kester. There is also a defensive driving school for teenagers. Many members purchase land to build garages and personal condos. Notable members include legendary racers Bobby Rahal and Tom Bagley. The club is home to a Ferrari Dino, a Ford Mustang Boss 302, a Nash Healey, a Ferrari Challenge Stradale, an Allard K2, a Radical SR8, an Alfa Romeo Zagato, a Williams Formula One car and many other exotic cars. Joliet Union Station is a former commuter and long-distance railroad station in Joliet, Illinois serving both Amtrak long-distance and Metra commuter trains. 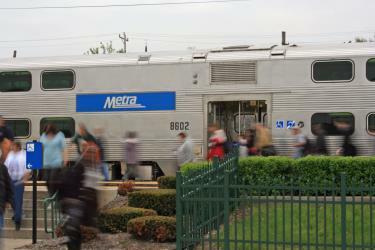 It is in the process of being replaced by the new Joliet Transportation Center, a train station that is under construction in an adjacent location and is expected to go into service in spring 2016. 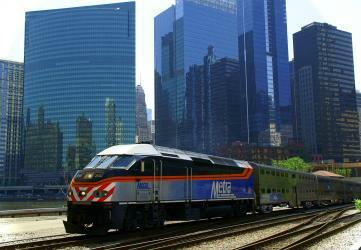 Train service to Joliet Union Station permanently ceased in September 2014. Joliet Correctional Center (originally known as Illinois State Penitentiary, colloquially as Joliet Prison, Joliet Penitentiary and the Collins Street Prison) was a prison in Joliet, Illinois, America from 1858 to 2002. It is featured in the motion picture The Blues Brothers as the prison from which Jake Blues is released at the beginning of the movie. It is also the location for the first season of Fox Network's Prison Break television show and the movie Let's Go to Prison. Rome2rio makes travelling from Chicago O'Hare Airport (ORD) to Shorewood easy. Rome2rio is a door-to-door travel information and booking engine, helping you get to and from any location in the world. Find all the transport options for your trip from Chicago O'Hare Airport (ORD) to Shorewood right here. Rome2rio displays up to date schedules, route maps, journey times and estimated fares from relevant transport operators, ensuring you can make an informed decision about which option will suit you best. Rome2rio also offers online bookings for selected operators, making reservations easy and straightforward.